Every year more than 4.5 million people in the United States are bit by a dog. Approximately one out of six bites requires medical attention by a physician. 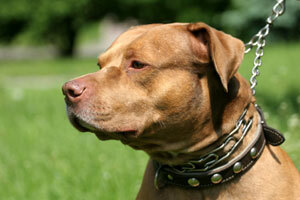 Under Oregon law it is the dog owner that is responsible when their canine injures a person. Many pet owners believe that they are allowed “one bite” before they are liable for the injuries their pet cause. While a first bite may keep the dog from being euthanized, this is not true in terms of liability to the injured party. Unfortunately, there are too many dog owners who are not very responsible when it comes to allowing their dogs to run loose. Please keep your dog on leash until it is in a designated off-leash area and away from any children playing nearby. As much as we love our four-legged friends, we cannot always account for their behavior, especially when it comes to children (my dogs are not fans of skateboarders or razor scooters). I advise everyone to use common sense and respect, and to remember that the law gives people the right of way, not dogs. If you or a loved one has been attacked by someone’s dog, please contact our office as soon as possible.